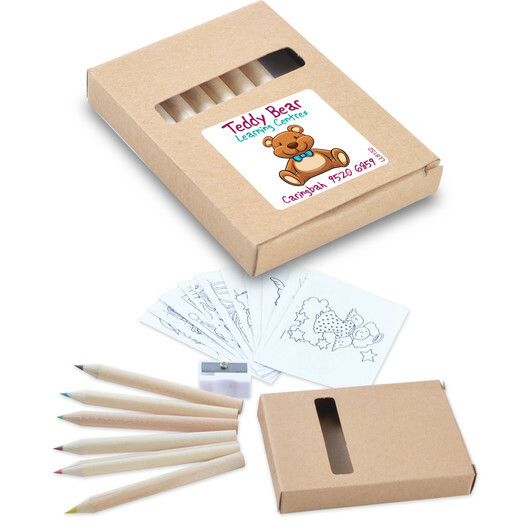 An activity set that includes: 6 assorted half size sharpened pencils, 10 colouring sheets and a sharpener packed into a cardboard box. A great promotional giveaway item for kids. 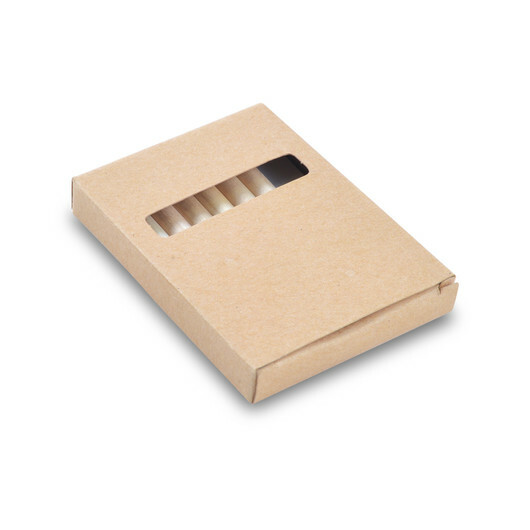 The pack includes 6 assorted half sized, sharpened coloured timber case pencils in a cardboard box. It also contains a sharpener and 10 colouring in sheets that you can colour in.